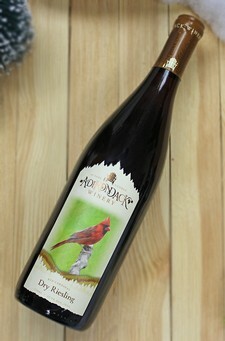 This wine is sold at our Lake George tasting room, the Queensbury Production Facility, or online! Available for both shipping or pickup. What is a Library Wine? In 2014, we began setting aside four cases of our best dry varietal wines, each of that particular vintage year. Stored in the proper conditions (in a cool, dark place, arranged on their side), just for you, we have been saving four cases of each ever since! How did we decide which wines to put in the Library? There's a different and special reason for choosing a library wine – whether we had only created a limited supply or the wine sold out too quickly, it was immensely popular or it won a particularly notable award in its vintage year. Each wine is chosen for a unique reason. Moderately full-bodied, our Dry Riesling is well-rounded, but zesty and fresh, offering notes of tropical fruit and peach with a clean acidity and lingering spiciness on the palate. This wine pairs well with Asian cuisine, shellfish, white meat poultry, dishes with citrus-based sauces, and mild cheeses. Label Image: Quintessential of life in the Adirondacks, the Northern Red Cardinal has long been admired for its bright plumage and distinctive, cheery chirp.